Let’s review: last week I missed my weekly check-in as I was away from home without an Internet connection. This week I’m back but I’ve had to change my goals, as what I had decided on four weeks ago is no longer attainable, given my personal circumstances (day job and other non-writing obligations). 1- Write the first draft of my new dystopian novel with at least 750 words per day: not anymore. I just don’t have the time. So I will probably write this first draft from time to time, but I cannot pretend I can write it every day, with a set number of words. 2- Self-edit/revise The Last Queen so that I finally have a final draft for it: this is what I have to focus on. I need to be done with that by the end of June and so far this final draft is not ready yet. So it’s Revision, Revision, Revision for me. My manuscript needs to be 20K shorter, so I have to start making serious cuts in it. Samurai like. – an interview with YA writer Rebecca Maizel on writing, reading and her books. – a post on YA best-selling author Lauren DeStefano with her advice on writing a book and getting it published. This entry was posted in A Round of Words in 80 Days and tagged A Round of Words in 80 Days, About writing, draft, editing, EM Castellan, getting published, Lauren DeStefano, on writing, Rebecca Maizel, revision, ROW80, ROW80 goals, The Last Queen, writing. At least you’re wise enough to know when to reorganize your goals and decide what truly needs the focus. Good for you! And good luck with the revision/editing. Painful, but necessary. I’m always revising my goals. We all need to prioritize. 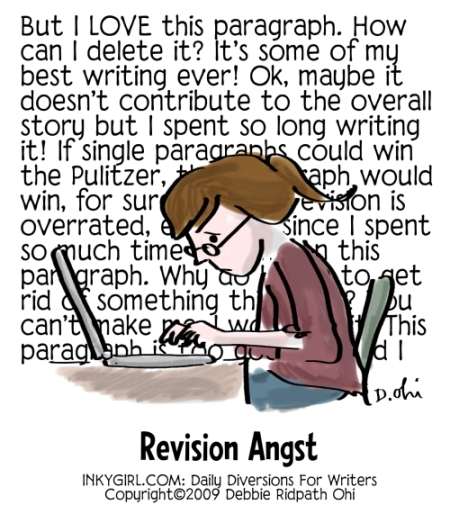 Hope you have a great week and make some serious headway with your revisions. Have a good one! One of the many great things about ROW is the flexibility – life happens after all. I have one of those twisted schedules as well and I’ve found the best success by focusing on just one or two specific goals. Write. Read. And maybe something to do with Platform (blog, etc.). Good choice on recognizing the limitations of your schedule and making proper adjustments. Good luck with your new goals and the revision! May the force be with you! (is there a more samurai like phrase I can use instead? LOL). Have a great week! Thanks for your comment Juliana! I’m following you on Twitter now 🙂 Have a great week!